Pudding Mill River, part of the Bow Back river network, is a minor tributary of the River Lea from nearby to Old Ford Lock to St Thomas’ Creek near Stratford High Street, a total stretch of just over half a mile in length. The Pudding Mill that gave its name to the river comprised a water corn-mill, a malt mill-house, and a windmill. The name Pudding Mill is believed to derive from St. Thomas Mill an ancient structure (dating back to 1200) which stood on a site beside the river which was shaped like a pudding bowl and commonly known as Pudding Mill. Nobshill Mill was another windmill on Pudding Mill River, but had disappeared by 1894. The original mill was demolished in the mid 19th century although a mill existed on the site until about 1934 it was demolished as part of the River Lee Flood Relief Scheme. During this scheme the Pudding Mill’s junction with St Thomas’ Creek was blocked off making he only access possible was that from the Old River Lea. 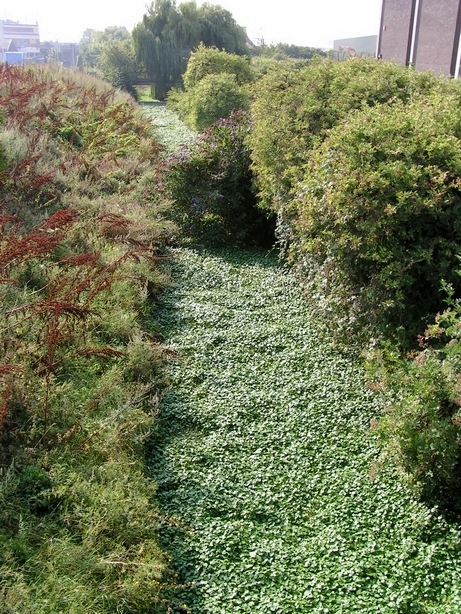 Most of the Pudding Mill River was in water until the 1960's and was sometimes used as a storage facility for surplus barges before being infilled southwards of the Northern Outfall Sewer (the Greenway). 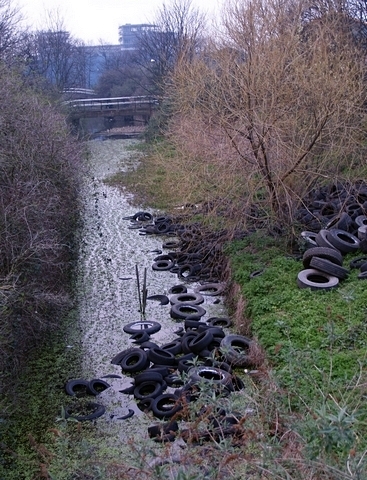 Then over the years the remainder of the Pudding Mill River was no way navigable as it became a weed filled ditch and a victim of flytipping. The whole area was known as a polluted industrial area and little known to the rest of London. A nuclear reactor was even built next to the river in 1980. Improvements were made to the Pudding Mill River at the start of the 21st century, including tree planting and the building of an attractive wooden bridge. The river became home to a family of swans and to pike and eel. The black redstart, one of the UK’s rarest birds, had also been spotted in the area. However, this all changed soon afterwards when London won the bid to host the Olympics in 2012 and the vicinity became the best known development site in Britain. In 2007 the Pudding Mill River was infilled, the wildlife relocated to the River Lea, the site of the reactor certified nuclear contamination free and the Olympic Stadium was built over the site of the river. Now only a very small stub of the river is visible where it meets the River Lea.